Are your little ones growing up and heading off to school? Has your baby grown out of their first baby grows and early toys, but you don’t want to get rid of them in case of a future baby arriving? Here’s where storage can lend a hand to help you tackle a lack of storage space or a desire to keep things safe and secure. In this blog, we aim to give you some tips and tricks for storing your baby’s old toys and clothes, as well as larger pieces of furniture, in a storage unit for the future. The first thing to do when deciding how to store baby clothes is to assess which ones you actually want to keep. While it is tempting to keep every little sock and each baby grow, it’s much better to select the best clothes to keep and store them so you don’t have to sort them all out when you get them out of storage in the future. Make sure that clothes aren’t stained or worn, and that they still have all their buttons and attachments. Make sure any clothing you do decide to keep is well laundered and dry before attempting to store and pack it. For short term solutions, if you’re only storing the clothing for a few months because a family member or friend is expecting a baby, packing the clothes in cardboard boxes is absolutely fine. However, if the clothing is going to be stored for a longer period of time, it would be a good idea to invest in some plastic storage boxes to keep the clothes fresh and clean from dust. If you have a large number of clothing items, sort the items into different boxes and categorise by age brackets, e.g. 0-9 months, 12 months, 18 months, 2 years. You can also use a separate box for any miscellaneous objects such as bibs, blankets, cloths and muslins. You could also apply this same system to maternity clothing, whether you’re anticipating needing it in the future, or if you’re saving it for a family member or friend. At Titan Storage, we offer a large range of packing supplies, like cardboard boxes, to help with your storage process so your process can be simplified if storing with us. Check our FAQs to find out what materials we stock. When storing toys, you need to go through a very similar process to storing clothes. Firstly, assess which toys are worth keeping; which toys have minimal discolouration, no pieces missing, no broken parts, and are classic enough to be appreciated by any era of child. Inexpensive toys that are likely to be updated in future years and are inexpensive to purchase are probably not the toys to consider storing. After that, the next step is to clean and disinfect all items, since you don’t want anything nasty developing or growing on them while they are in storage. For more fragile items, an extra step to consider is wrapping them in either tissue or bubble wrap to avoid possible breakages during moving and transportation. Remember to also remove any batteries to avoid corrosion. Group parts for the same toy in small sandwich bags and attach to the main body of the toy to make sure nothing is lost. Plastic storage boxes are again a good solution for storage since they are much less likely to encourage mould or mildew. Label all boxes to identify what is being stored inside. In Titan Storage’s units, there is much less of a chance of anything environmental damaging property since they are monitored carefully and frequently to make sure they stay safe, clean and dry. Large items of baby furniture that your child has grown out of can be cumbersome to store and take up a lot of space in a small, or even large, home. Therefore, it may be a good idea to consider storing some items if you’re planning on needing them in the future, but don’t need them at the present time. The first thing to do with any large item of furniture or equipment is to remove any cloth components and launder them. Then follow the same process as the clothes and toys and either store them in cardboard boxes or plastic boxes, depending on the amount of time they need to be stored. With regards to the framework of the furniture, more care may be needed. Depending on how long you are planning on storing the item, it may be prudent to disassemble it to make space. However, if it’s only being stored for a short amount of time, it can just be covered with a sheet or wrapped in clear wrapping film. One item to be aware of storing is a car seat. Unless you’re planning on needing to use it again in a short amount of time after storing it, you may not want to bother packing it away since they expire between 5 and 6 years after manufacture. 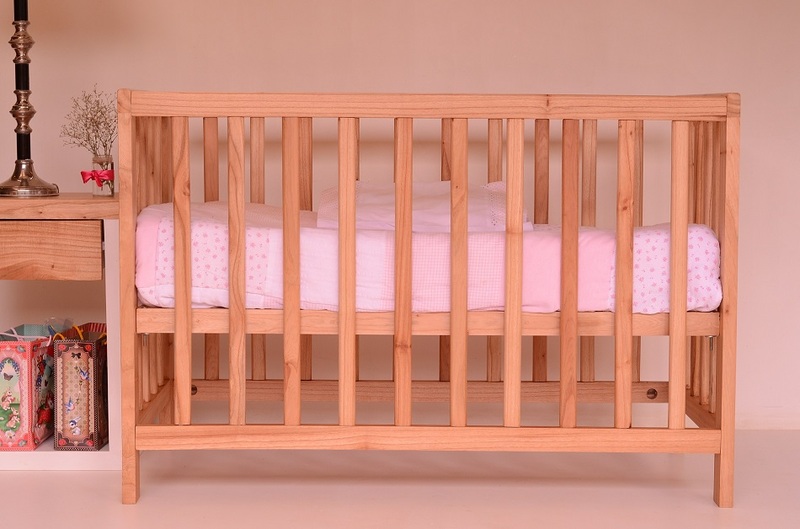 Cribs and cots are also furniture items that may change in regulations during the time you store it. Styles and finishes of the wood can become outdated or become inappropriate due to safety guidelines so you have to be very sure that your baby’s crib won’t be affected before choosing to store it. If you are able to store it, make sure to take a photo of it before disassembling so you remember what it looks like and then store all small parts in bags to attach to the main frame. Whether you’re decluttering or preparing for your future, storing baby things couldn’t be easier. At Titan Storage, we can help you find the appropriate sized unit, packaging supplies, and security options so that you keep your baby’s possessions safe, clean and secure. Get a quote for a storage unit and start storing today.